Post and discuss what YOU are working on. 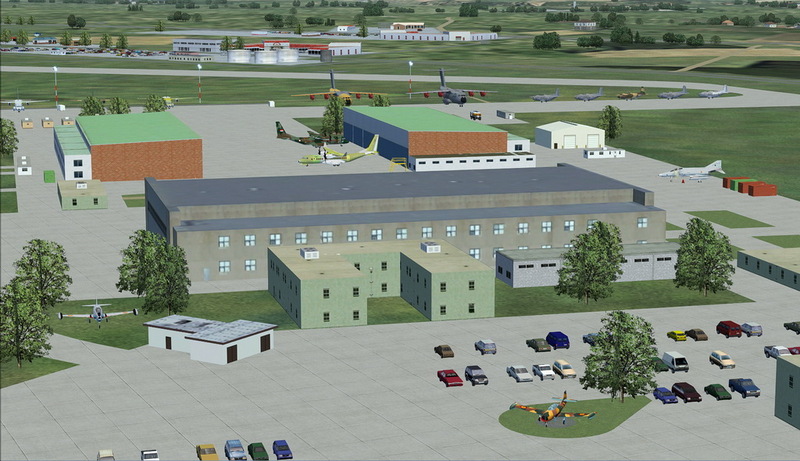 This is the place to preview and/or discuss your modern day military AI projects. I am currently putting together the documentation for my latest project. 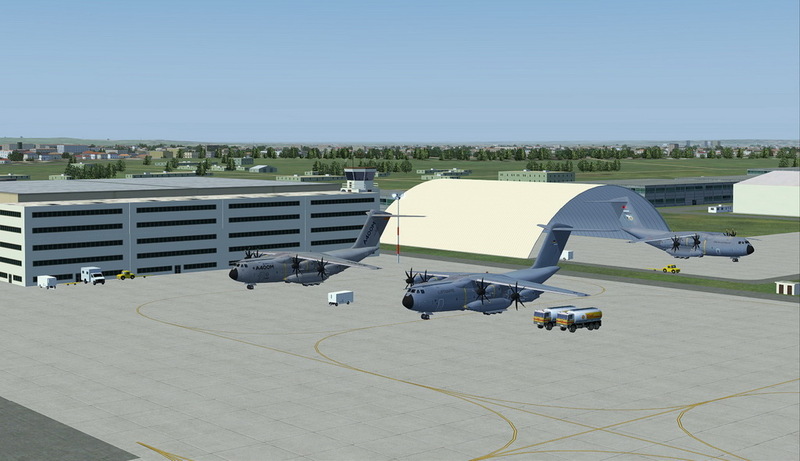 This FS2004 package represents Seville-San Pablo airport including the Airbus plant where the A400M and the C-295 are manufactured. 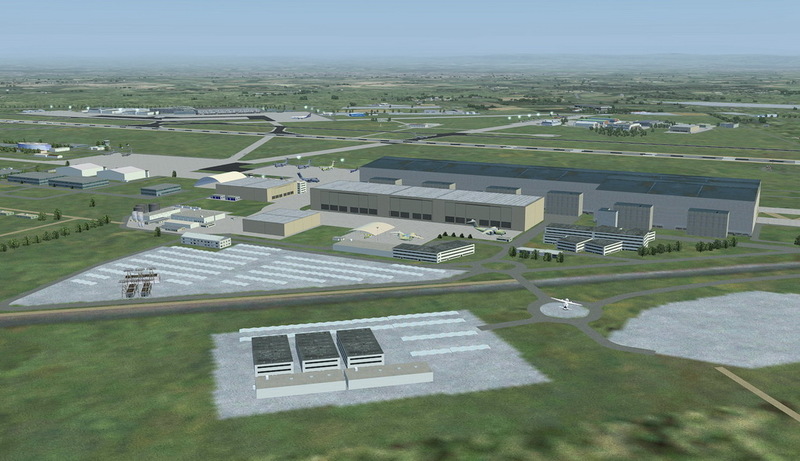 Looks like a lot of work has gone into this project Hartwig. Very well done indeed. Looks great. Well done Hartwig. Looking good! 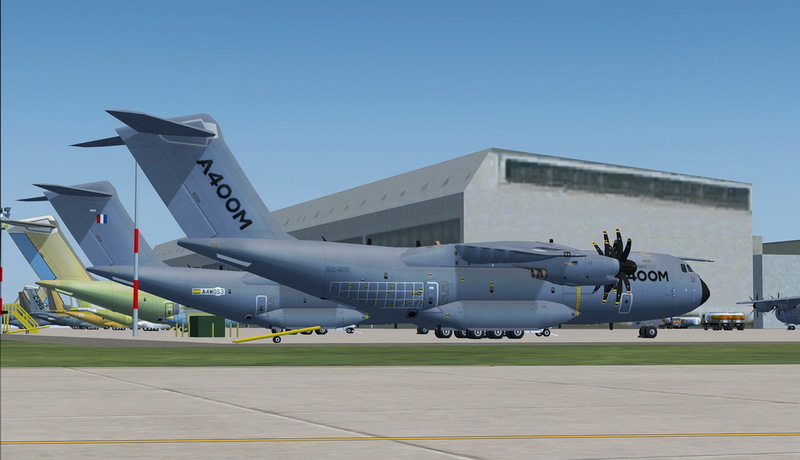 Are those engine covers on the A400M a new feature? 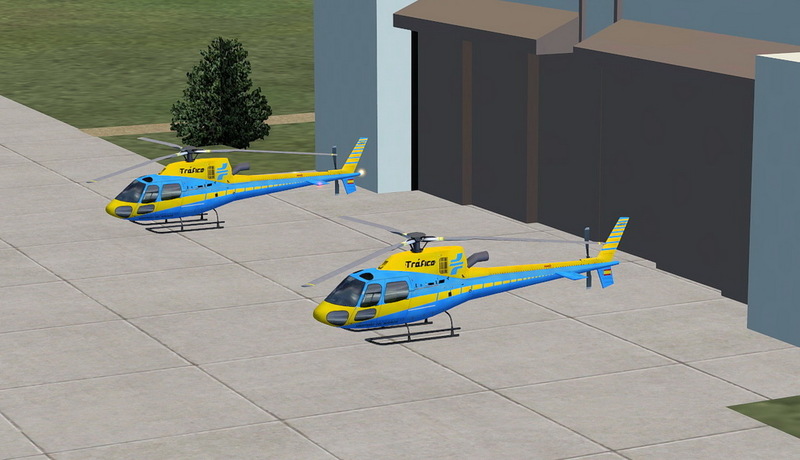 I don't remember seeing that in my sim before. Love the little touches such as the engine/cockpit covers on the stored stuff..
"When all else fails, and your AI doesn't show up...... check the AI slider.......DOH!!!!" 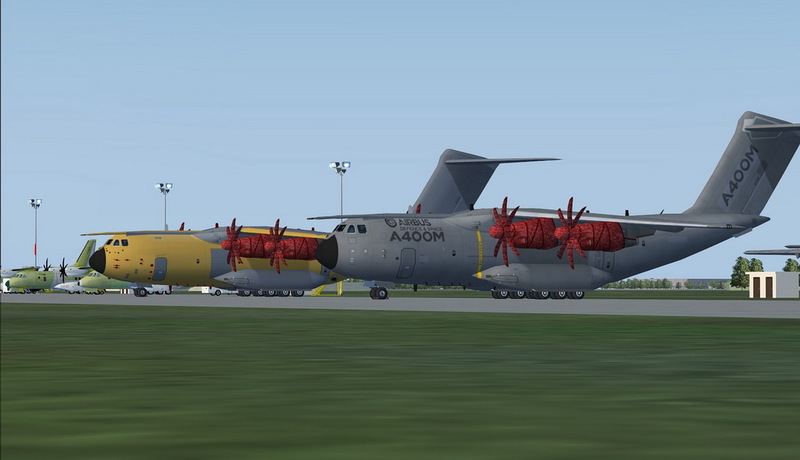 No, not a new feature of the A400M. 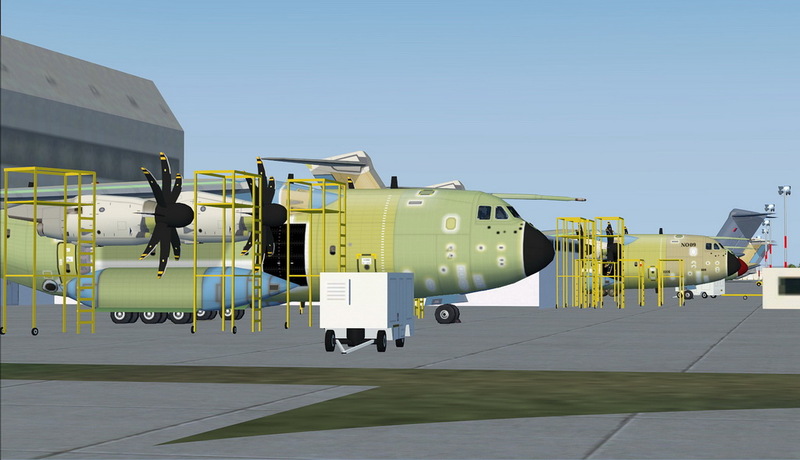 The engine nacelles and props are painted as wrapped. 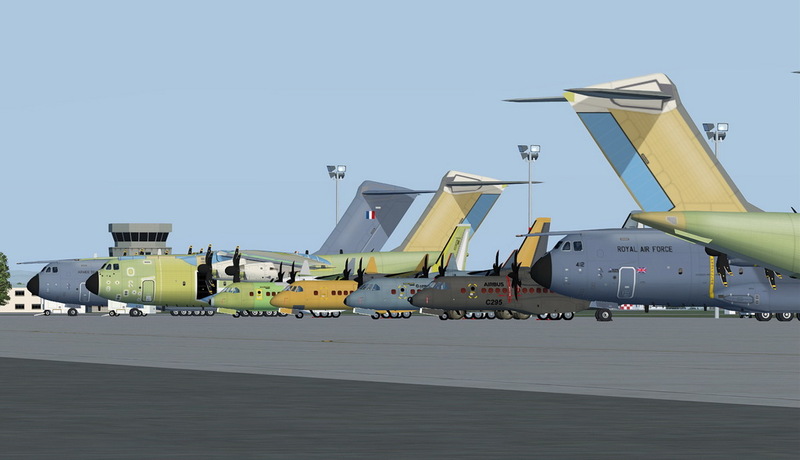 In real life all these stored A400Ms, the C-130 and the P-3 have their engines removed or not yet installed. 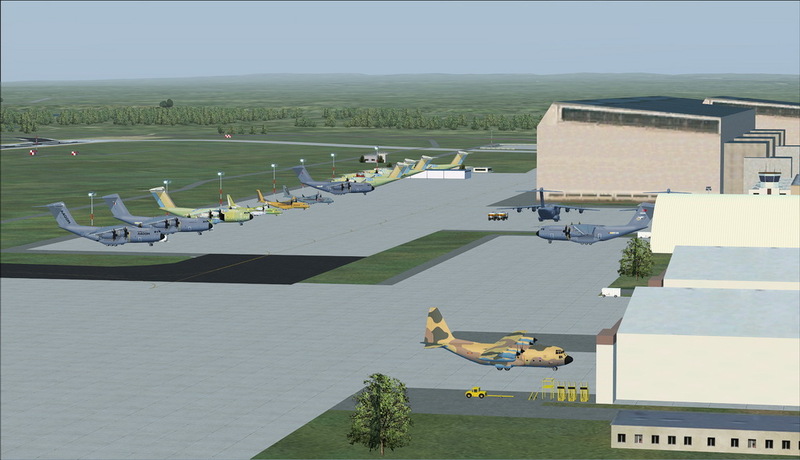 Is there likely to be a P3Dv4 version ? Retired and busier than ever !! 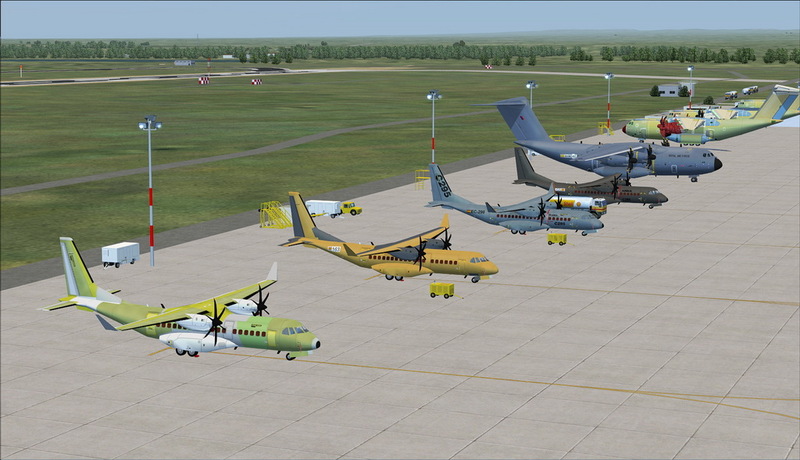 I do not use P3D. 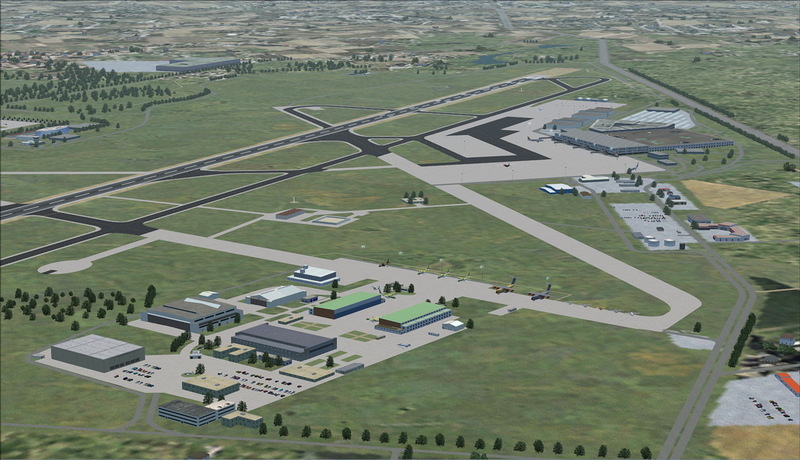 There is a payware FSX scenery for Seville that might work in P3D. 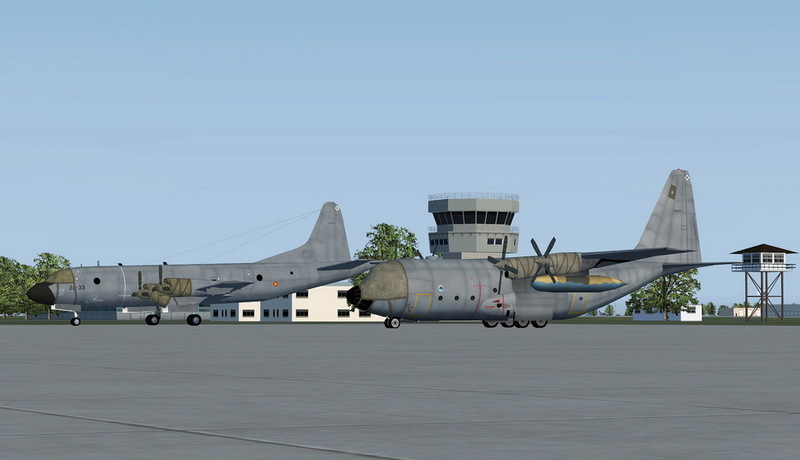 Repaints and flight plans can be converted. Many thanks for this scenery. 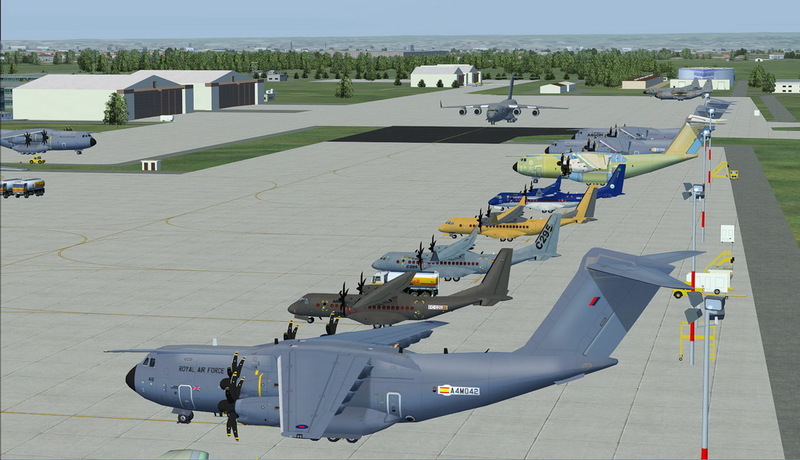 Installed it today & noticed most of the A400's are parked at the airport terminal! AFCAD looks ok, but anyone else have this problem? 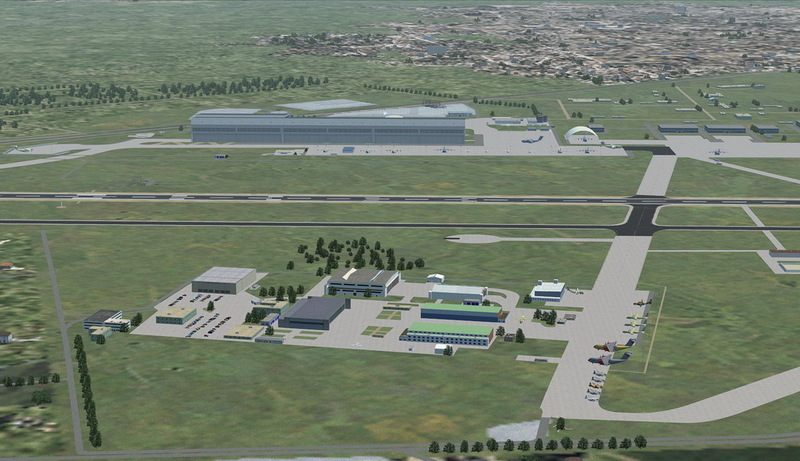 I think I found the reason why the A400Ms park on the terminal. 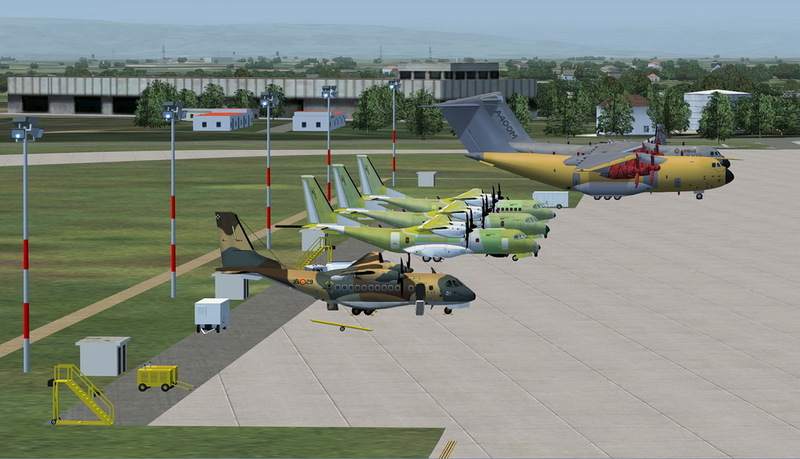 The parking spot sizes for the A400Ms are 30m in my scenery. 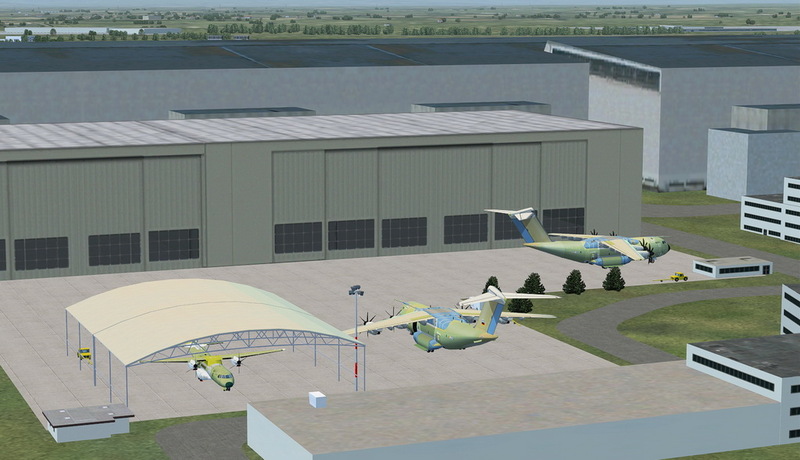 The parking radius of the NBAI A400m model is 34m however. On my system I must have changed the parking radius to 30m sometime in 2015. I do not remember why I did that. 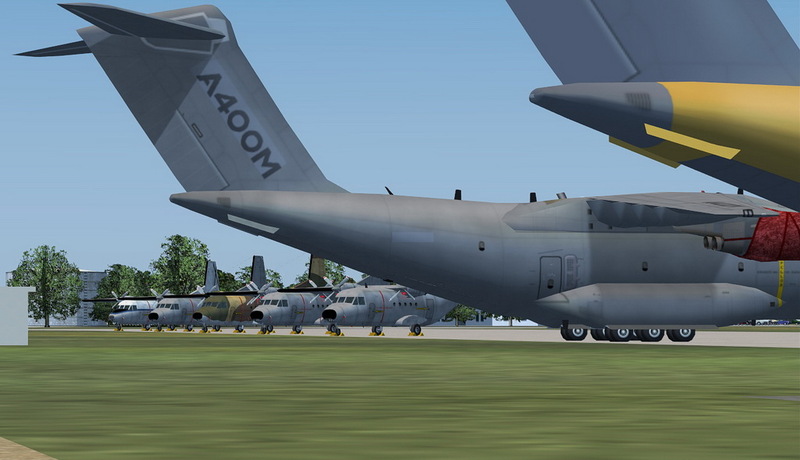 I also cannot find the forum thread about the A400M when it was released. 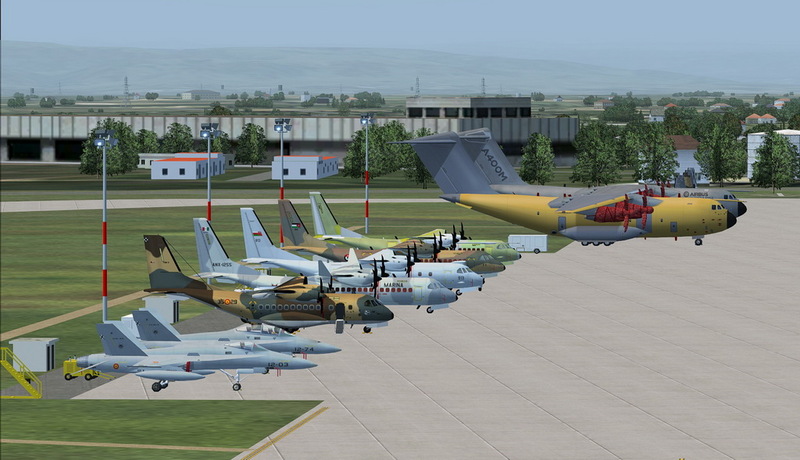 I think the simplest solution is to reduce the parking radius on the A400M model to 30m using AI aircraft editor. 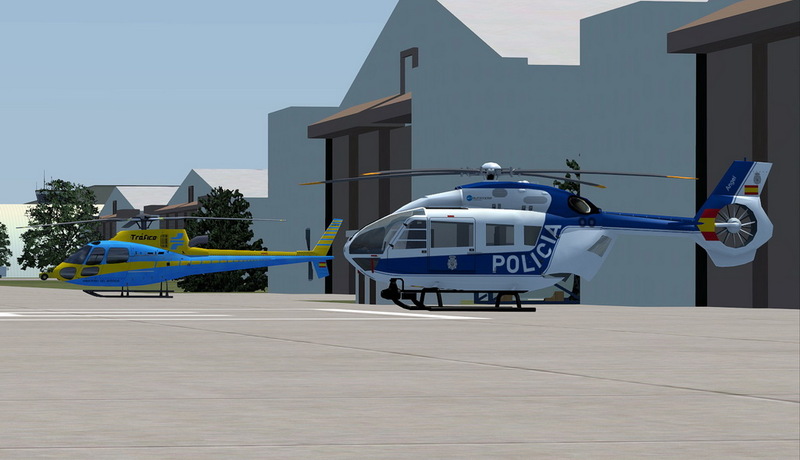 I increased the parking spot sizes of the A400M parking spots to match the parking radius of the originally released model. Thank you for the scenery. I have a small problem. 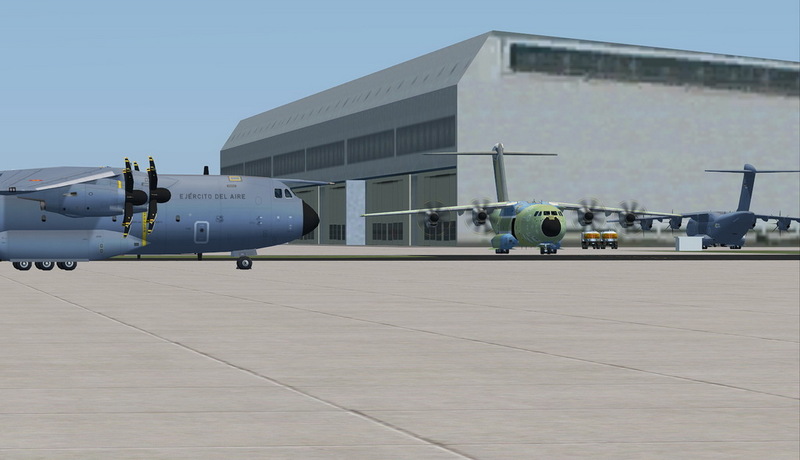 Every plane on the side of Airbus ( A400, UH-72, etc ) is sinking in the ground and not visible. Have anybody else the same fault? Nope everything OK with me. 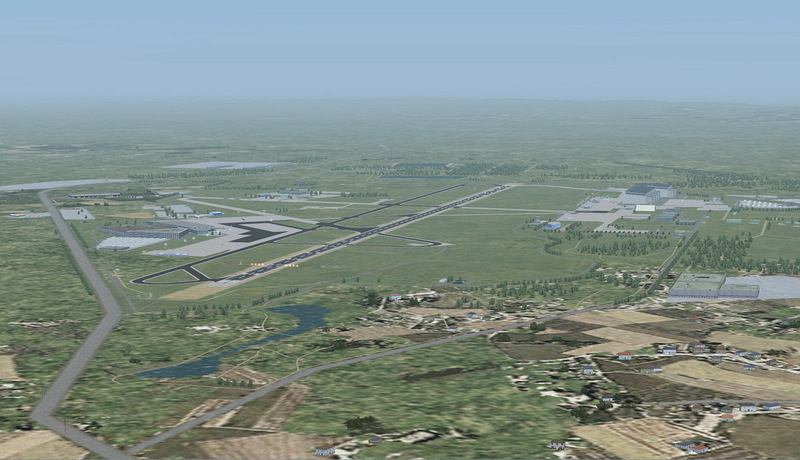 There is a flatten file included that levels the whole airport area to 34m (_LEZL_LWM2_flatten_34m.BGL). Have you installed that? It is supposed to be in the scenery folder. Also make sure that there is no other AFCAD for LEZL installed. 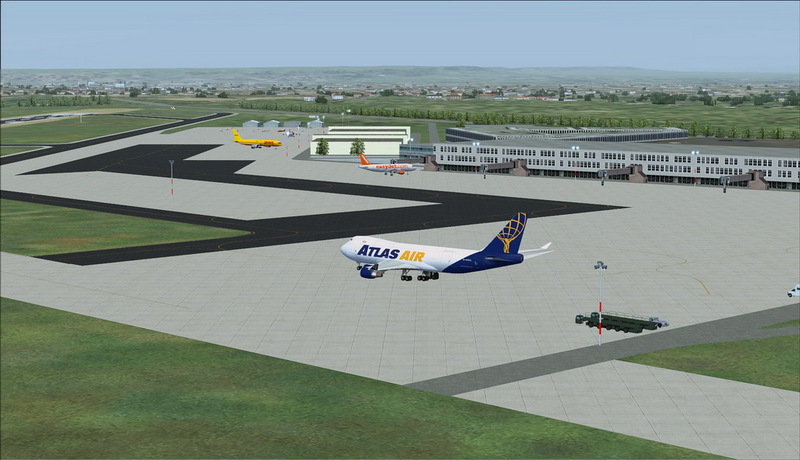 yes, the flatten file is installed. 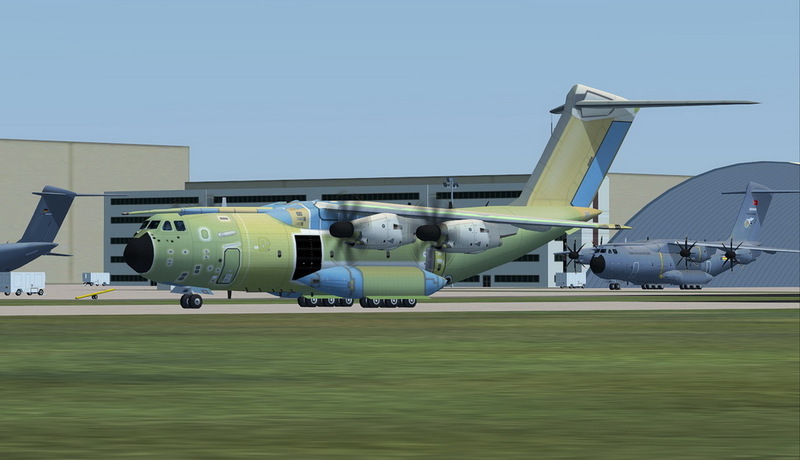 The problem is , how it looks, only on the A400 side. 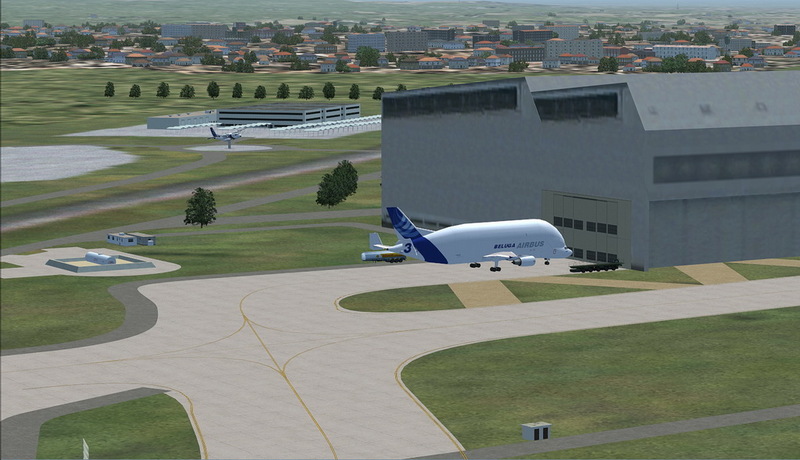 The civil gates and the CASA plant working normal. I found the problem. 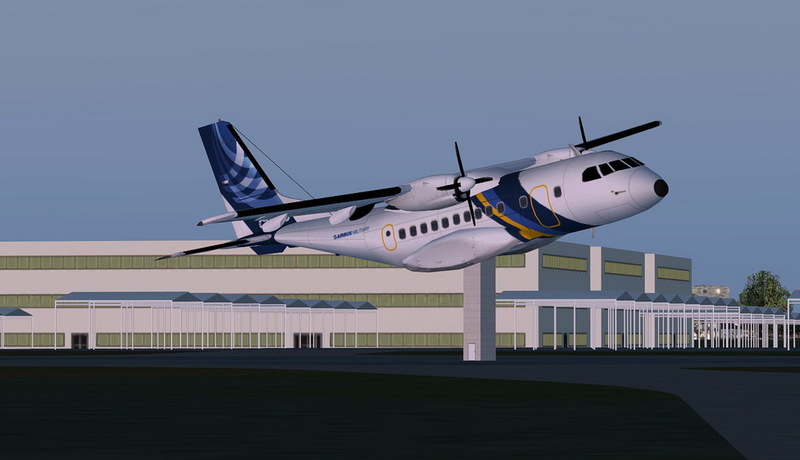 There was a fault in the aircraft.cfg. 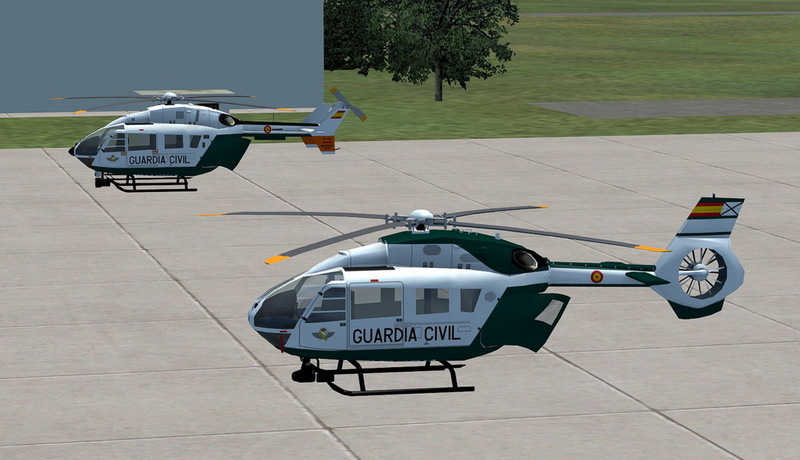 After replacement of aircragt.cfg file everything works fine now. 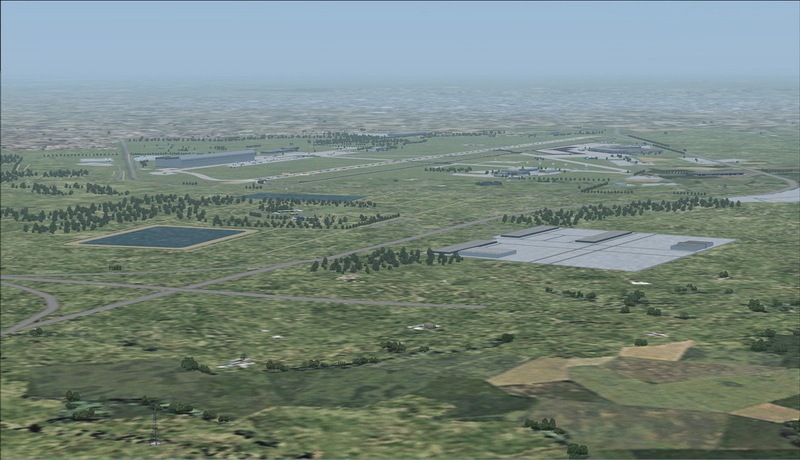 Lovely scenery but there's a problem in that the runway designators (9 and 27) are the wrong way round and causing havoc with AI inbound traffic. Any chance of a fix please? 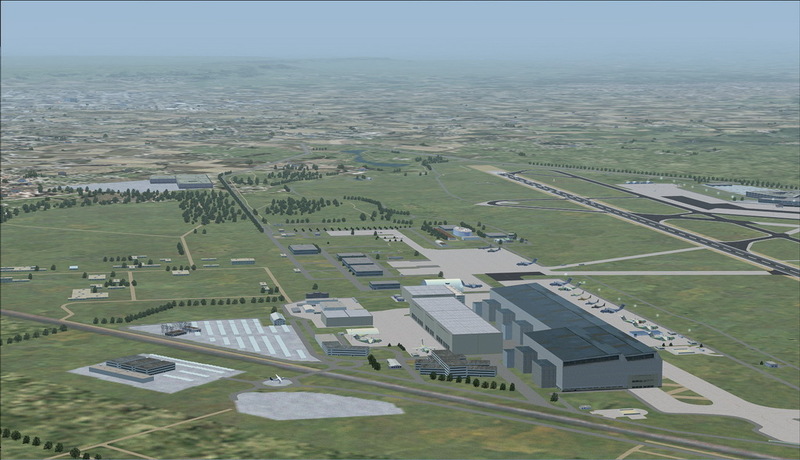 While you are right that the runway designators are switched what you mean by this is causing havoc? A more specific description of your problem would be helpful. 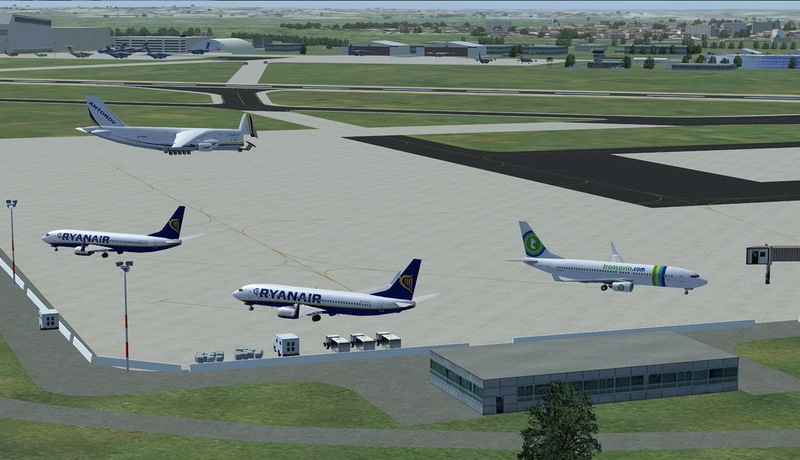 Even with the switched runway designators I do not see any strange AI behaviour on my system. 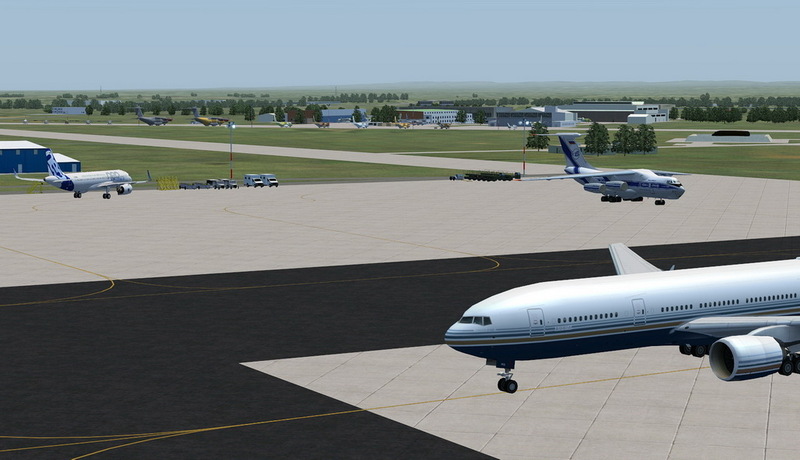 I actually do not even know whether the runway designator has any effect on the AI flying behaviour at all.